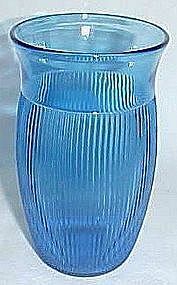 This pretty cobalt blue 5 Inch Fine Rib Ice Tea Tumbler was made by Hazel Atlas. 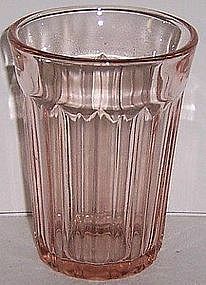 The Tumbler is in very good condition with no chips or cracks. 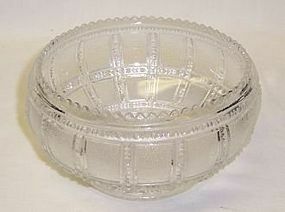 Be sure to search our other Hazel Atlas glass available. We guarantee all items to be as described. Feel free to email with any questions. THANK YOU. 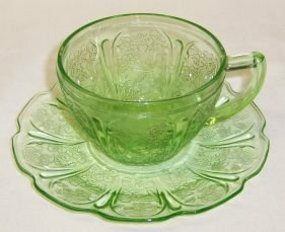 This pretty green Cherry Blossom depression glass Cup and Saucer was made by Jeannette Glass from 1930 to 1939. 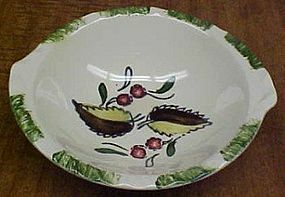 The Cup and Saucer are both in very good condition with no chips or cracks. 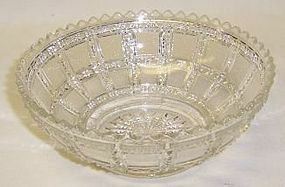 Be sure to search our other Cherry Blossom glass available. We guarantee all items to be as described. Feel free to email with any questions. THANK YOU. 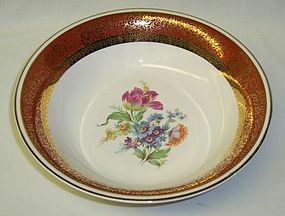 This really pretty Moss Ross Flat Soup Bowl was made by Sango China of Japan. 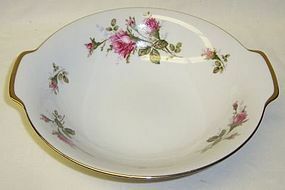 The Bowl is signed on the back MOSS ROSE by SANGO. 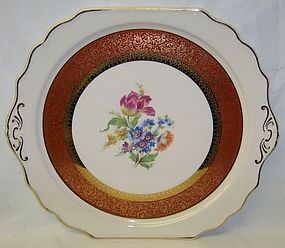 It measures 7 5/8 Inches in diameter X 1 1/4 Inches high and is in really good condition with no chips, cracks or scratches. 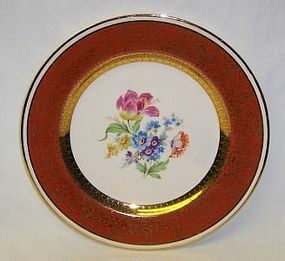 The gold trim is all very good. 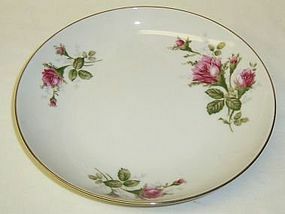 Be sure to search our other Moss Rose available. We guarantee all items to be as described. Feel free to email with any questions. THANK YOU. 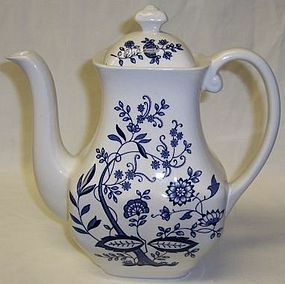 This is a really nice Blue Onion Coffee Pot with Lid made by Enoch Wedgwood (Tunstall) Ltd. The Coffee Pot measures 8 3/4 Inches high to top of knob. The Coffee Pot and Lid are in very good condition with no chips, cracks or scratches. There is some crazing in the china. 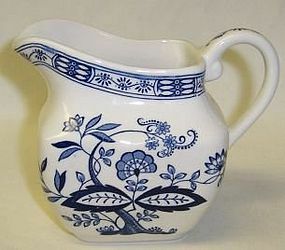 On the backstamp ENOCH WEDGWOOD (TUNSTALL) LTD Blue Onion MADE IN ENGLAND Dishawasher and Microwave Oven Safe. We guarantee all items to be as described. Feel free to email with any questions. THANK YOU.